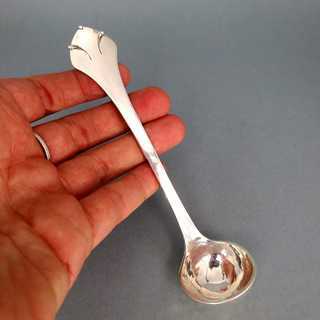 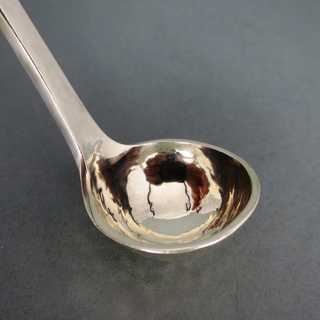 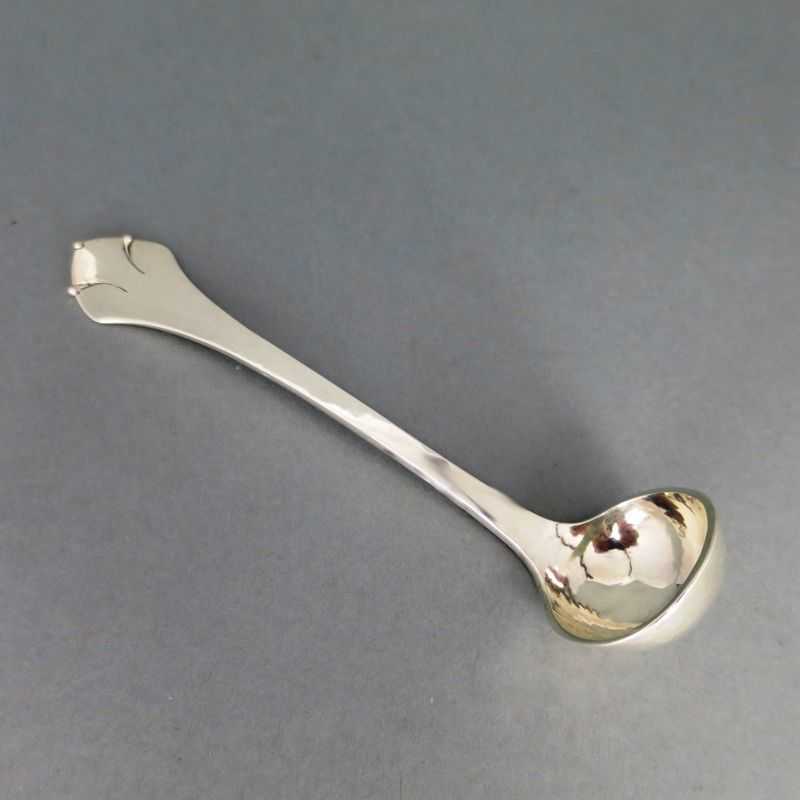 Beautiful small Art Deco ladle from Scandinavia. Semispherical bowl, handle finial with trefoil motif. 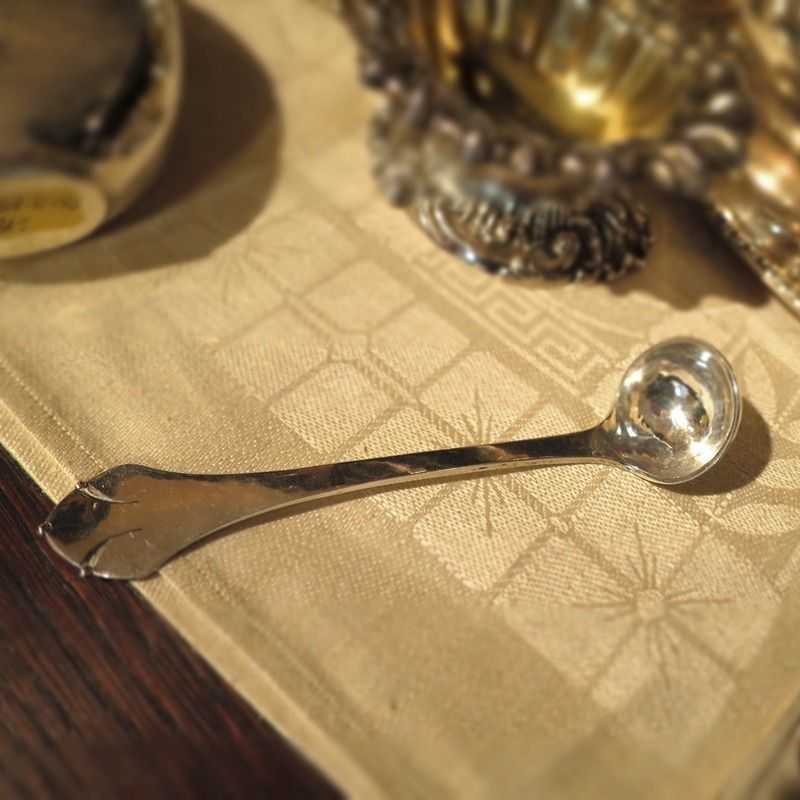 Full surface hammered. 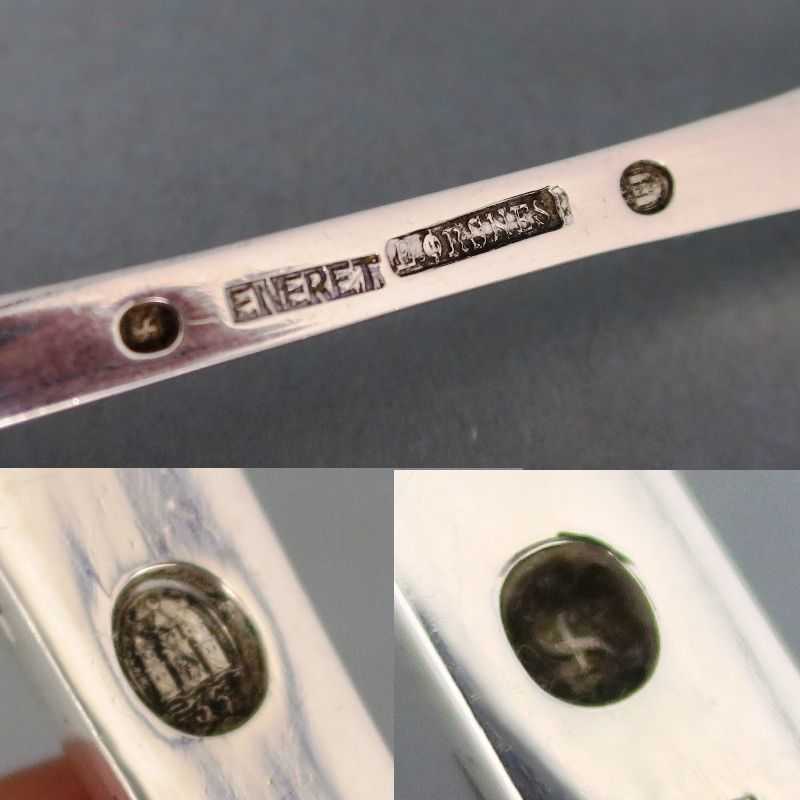 Marked, made by the silversmiths E. Oersnes in Aalborg / Denmark, dated 1935. 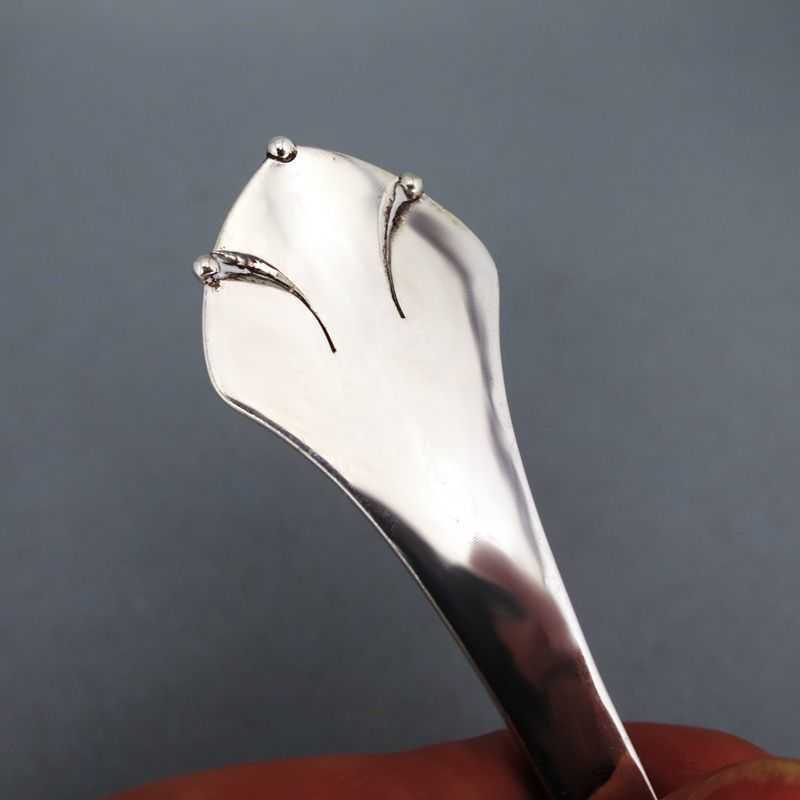 Assay mark by Johannes Siggaard.